The Ebola outbreak in Congo is not an international health emergency, but is a situation of “deep concern,” the World Health Organization said Friday. The committee decided “almost unanimously” that the outbreak doesn’t constitute an emergency, Prof. Robert Steffen, chair of the emergency committee and department of epidemiology and prevention of infectious diseases at the University of Zurich, told reporters. Steffen said they advised “redoubling efforts” to: detect Ebola cases as soon as possible, follow all contacts of those infected, and ensure vaccination of contacts. The panel expressed great concern about the number of cases increasing in some regions of the outbreak, but noted it hasn’t spread internationally. “It does not mean we can lean back and relax,” Steffen said. WHO Director-General Dr. Tedros Adhanom Ghebreyesus said he accepted the committee’s advice. Rather, by definition under international health regulations, the emergency declaration should be used to provide early warning of an imminent threat so countries can prepare, said WHO’s Dr. Mike Ryan. It is not an instrument for humanitarian response. Regardless of the official status of outbreak, “it is clear that the outbreak is not under control and, therefore, we need a better collective effort,” Doctors Without Borders said in a statement in response to WHO’s decision. 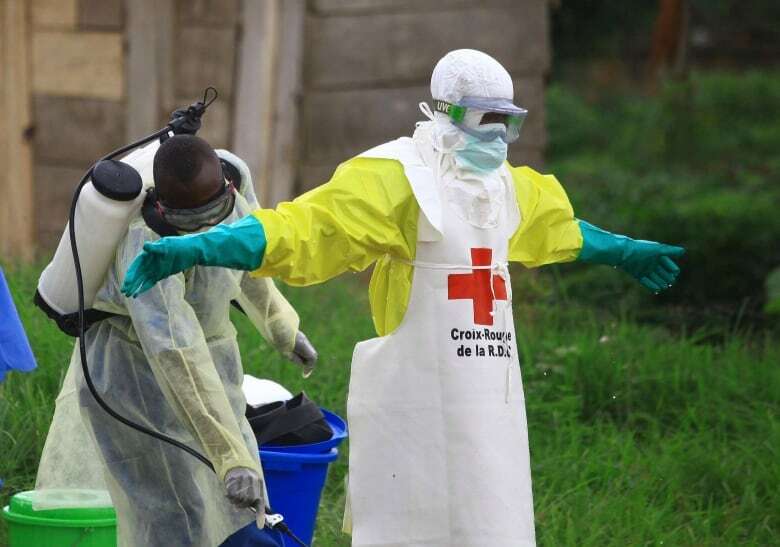 Canadian Trish Newport, Doctors Without Borders’ representative in Goma, a major crossroads city close to the outbreak, said ahead of the WHO announcement that declaring a global emergency wouldn’t necessarily help stop the epidemic. “Bigger is not necessarily better,” Newport said. “We’re discovering people when it’s way too late,” he said, noting many bodies were buried in secret and never reported to authorities. WHO has said the risk of the virus spreading to neighbouring countries is “very high,” while the risk of global spread is low.